Premier building site on Bearskin Lake. 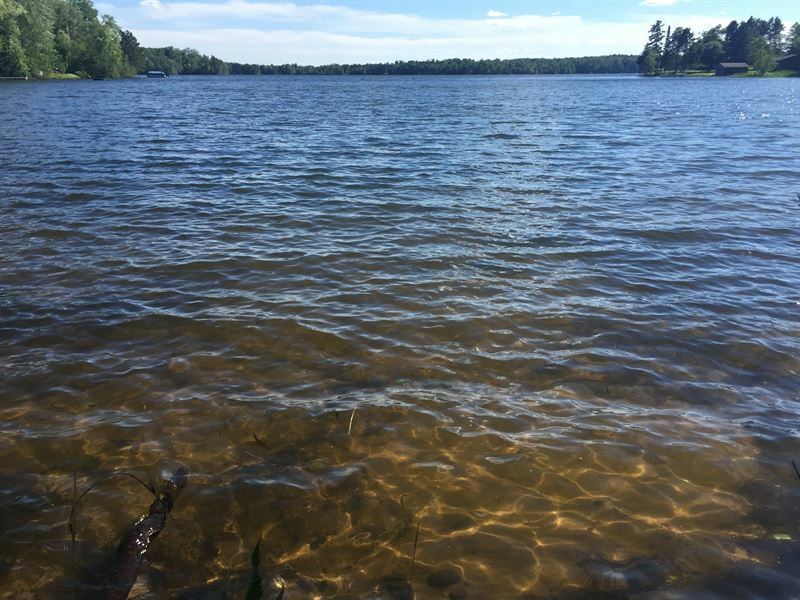 This large parcel boasts 5.67 Acres and 188' of swimming frontage with hard to find southern exposure on one of the area's best fishing and recreational lakes. Bearskin (often referred to as "Big Bearskin") weighs in at 400 Acres and 26 feet deep, is chock full of fish and large enough for all day fun in the sun. The lot is nice and flat near the water, and setback averaging may allow for an excellent building location for your home very close to the water - buyer to verify with appropriate authorities. There is already a dry boathouse at the water's edge and a roll in pier on the property. The additional acreage could provide a place for an extra toy storage building. Compare this property to other big water lots and you're sure to see that the attributes here add up to big value. Schedule your appointment today and bring your builder.